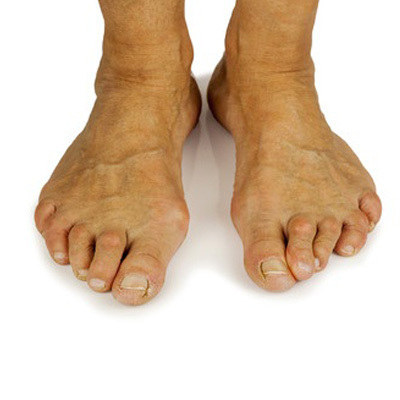 Hammertoes are a deformity which results in bony prominences on the toes causing them to be permanently bent – resembling a hammer. Often the cause is biomechanical in origin which can cause unbalanced muscle contraction which changes the underlying bone structure of the foot. In time, toes become rigid, inflexible and painful. If diagnosed early, hammertoes can be treated with functional orthotics, but in more severe cases, surgery may be necessary to correct the conditon.